A Cobb County, Ga., special education teacher was charged with cruelty to children after allegedly putting a student with autism in a trash can and comparing him to Oscar the Grouch. According to the warrant issued by Cobb Schools’ Police, an employee at Mt. Bethel Elementary witnessed special needs teacher Mary Katherine Pursley holding a second-grade boy upside down by his legs above a trash can. The witness saw Pursley lower the boy into the trash can up to his shoulders, the warrant says. Police say the incident happened during the after-school program. The boy came inside upset about another student bothering him. He was reportedly screaming and would not calm now. Pursley was removed from her teaching position, and a warrant was issued for Cruelty to Children in the first degree. A district spokesman did confirm Pursley is currently a special education teacher at Mt. Bethel Elementary School. She’s been with the district for 21 years. Right now, she’s on paid administrative leave during the investigation. 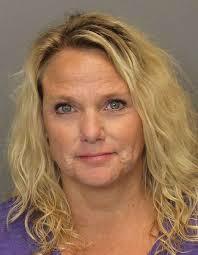 The Cobb County Sheriff’s Office confirms she was released Tuesday on a $5,000 bond. Click on the link to read my post on Hitchens: Dyslexia is NOT a Disease. It is an Excuse For Bad Teachers!